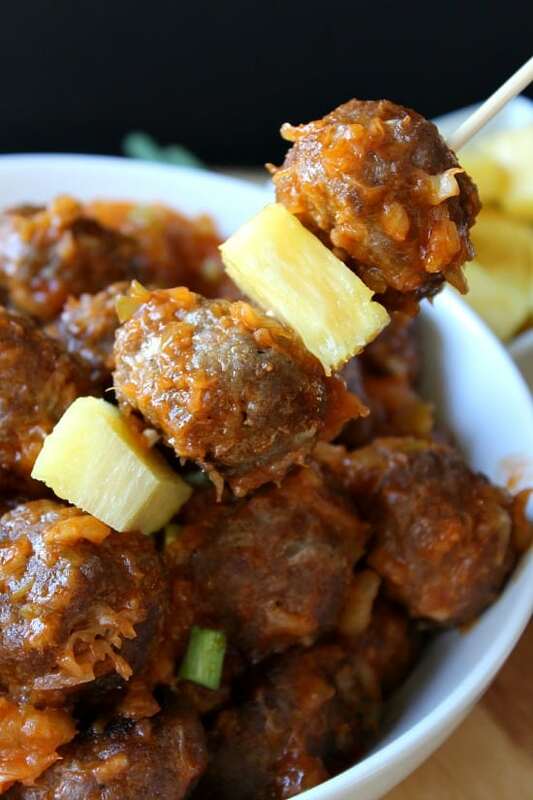 If you love pineapple and you love meatballs, then these pineapple meatballs are for you! With the World Series about to begin, and the amount of gatherings that happen on any given Sunday, this is an appetizer that you are sure to love, along with your guests. It’s not difficult to make and is very versatile. 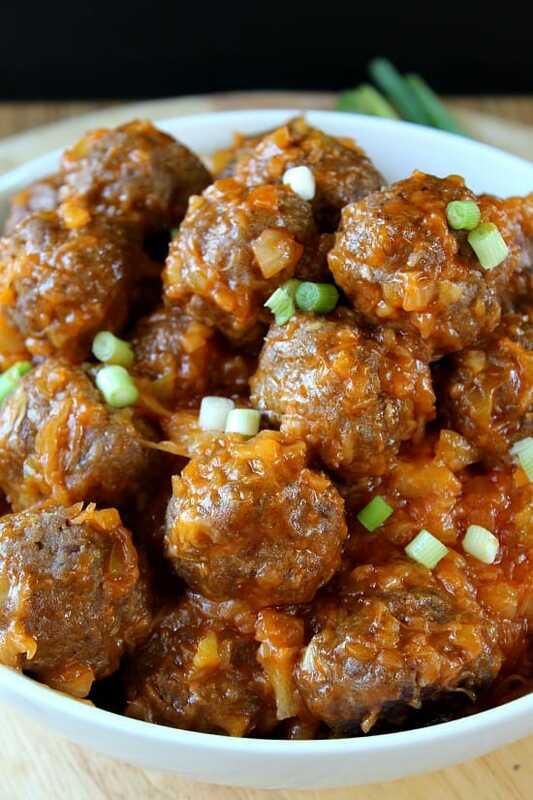 These little meatballs could even be served at a luau. They definitely will be gobbled up almost as soon as they are placed on the table. Well, at our house, they were gobbled up right from the pan. This delicious appetizer can be made the day before and reheated just before serving which makes it easier to get ready for the big game or whatever you have planned. 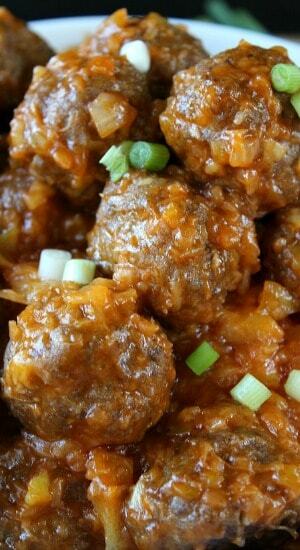 These meatballs have an array of flavors, both sweet and sour, so get ready for a delicious little treat. 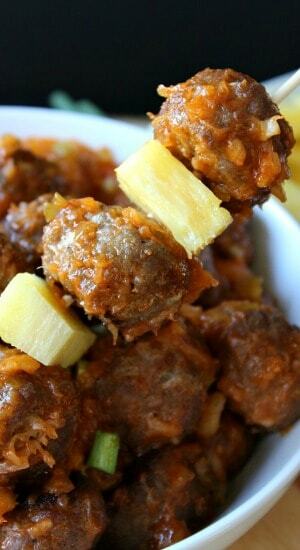 I used crushed pineapple in this recipe, but the chunk pineapple is just as tasty. So, give these a try! You will be glad you did. In a large bowl, add all eight ingredients together and mix well. 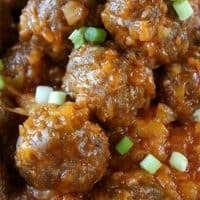 Place meatballs on cookie sheet and cook for 20 minutes. In a large skillet, heat oil. Add onion, green pepper and salt. Cook until tender, drain oil. In a small bowl, combine ketchup and vinegar, mix well. In a small bowl, combine reserved pineapple syrup and cornstarch, mix well. Add to skillet and cook for 3-5 minutes, or until mixture thickens. Stir in pineapple chunks, or crushed pineapple, and simmer for 3 minutes. Add meatballs and cook until heated through. Put into a serving bowl, garnish with green onions, and serve.